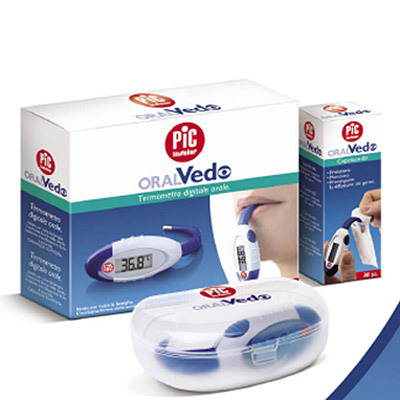 Oral digital thermometer with totally innovative technology and design. The probe’s exclusive curved shape is specially designed to be positioned in the oral cavity and guarantees an easy, precise and accurate reading every time. Oral measurement is not only fast – just 10 seconds – but gives a reliable result, as it is unaffected by external factors. The maxi-backlit display enables easy reading even in poor lighting conditions. 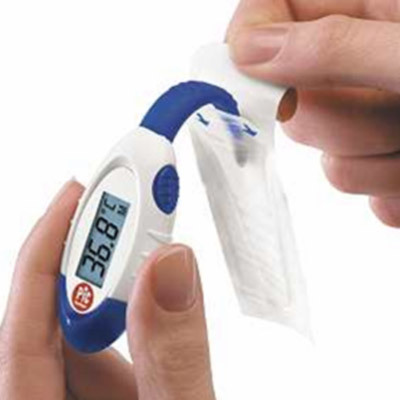 To prevent the spread of germs and bacteria Oralvedo comes with hygienic disposable probe covers, also available as separate accessories.